With Spring hopefully not too far away now, it is the perfect time to start planning some outdoor blooms to create your very own outdoor oasis, whatever your personal taste. Here at eDecks, we not only sell the usual tools and materials you may find from other DIY companies, but a wide range of planters to fit all gardens of all shapes and sizes. 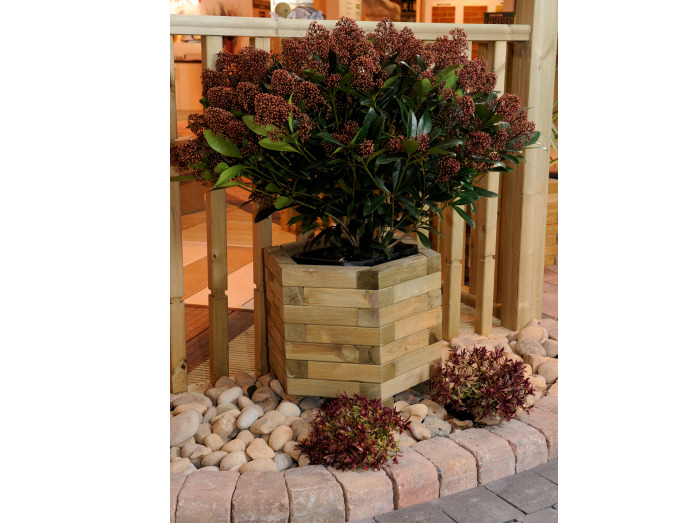 Our Elite Hexagonal Planter is available in Medium (£31.19) and Large (£41.59) and is a heavy duty planter which has been create using smooth timbers. 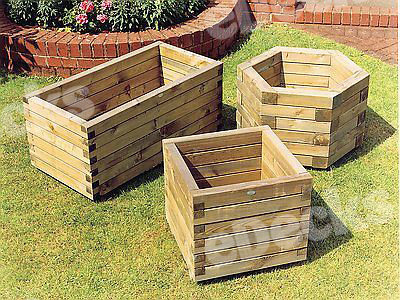 Our planters are pressure treated against rot and are delivered to you pre-assembled, therefore perfect for starting the job this weekend! 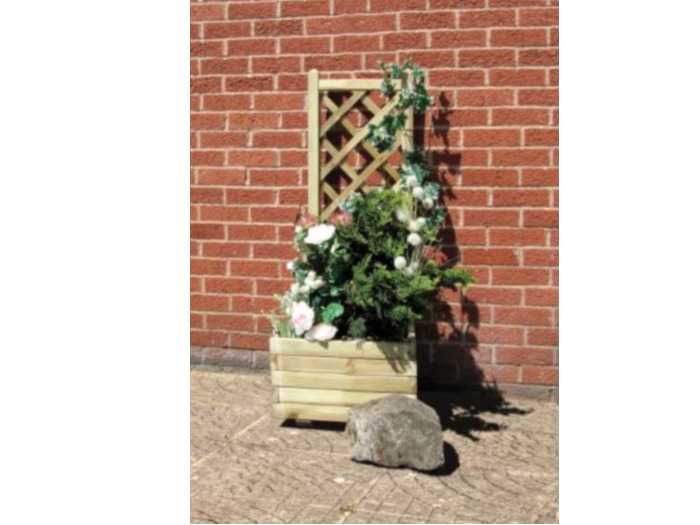 Our heavy duty planters are also available in an Elite Square shape (£36.39) which you will be able to fill with your favourite flowers or even herbs and plants. 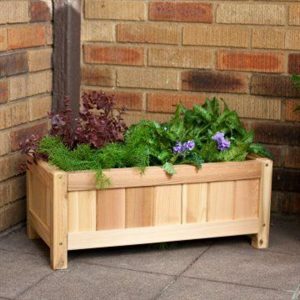 This simple yet sophisticated Wooden Garden Planter Box (£51.99) is slightly raised and has been handcrafted by skilled craftsmen. 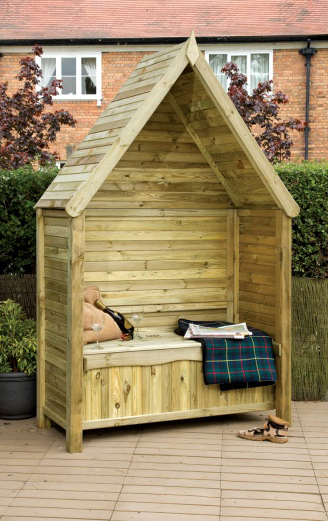 Using only solid, durable materials that have been carefully selected to stand all outdoor weather conditions as well as being pressure treated to prevent rot and decay, this Wooden Garden Planter Box will be a delightful vision whilst relaxing in your garden. 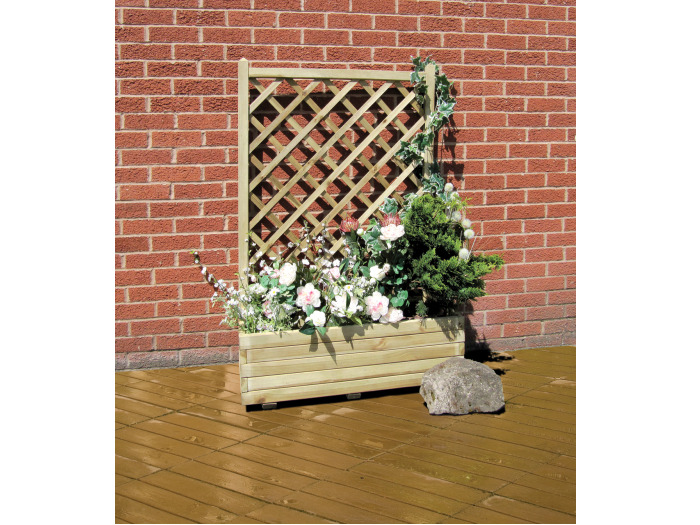 The Bella Rosa Planter (£29.99) is an elegant trellis and trough planter which is ideal for small spaces in your garden or yard. 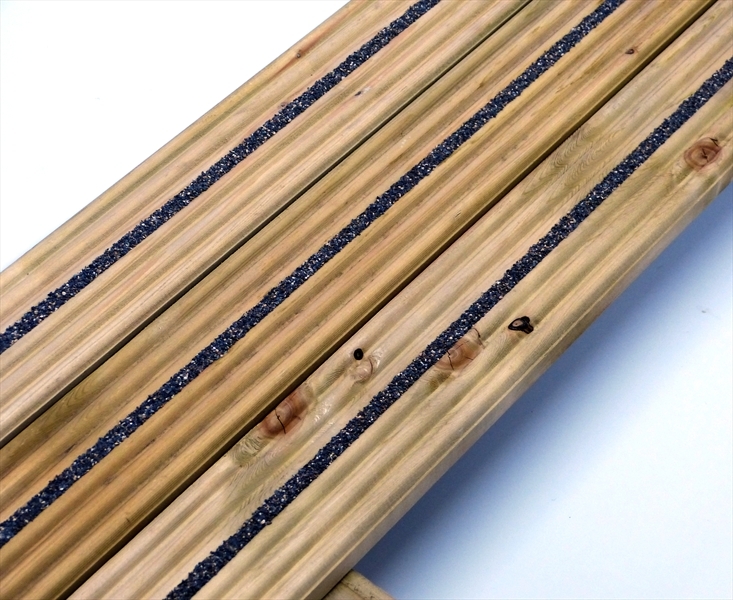 The trellis makes it perfect for climbing plants, growing plants or herbs and it is made from FSC mixed source timber and pressure treated green for a longer life. 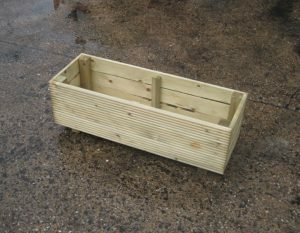 The base of the planter has small feet so that the trough is slightly raised and it is to be self-assembled but comes with full instructions and a hardware pack. 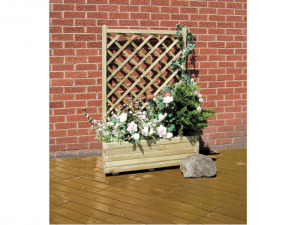 This is also available as the Rosa Planter (£48.79) which is a larger version of this pretty garden feature. 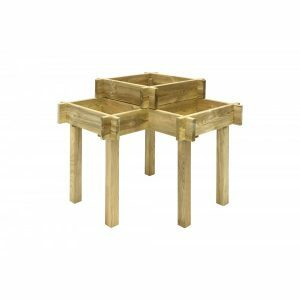 The Elite Planter Nest (£72.79) consists of one large and one medium planter, which are heavy duty planters made from selected smooth timbers. The material used to create these neat yet stylish planters is pressure treated to prevent rot and decay giving you a perfect base to add some colourful flowers to your garden. The Corner Planter (£45) is the option to go for when you are wanting more of a garden feature to house your plants, flowers and herbs. 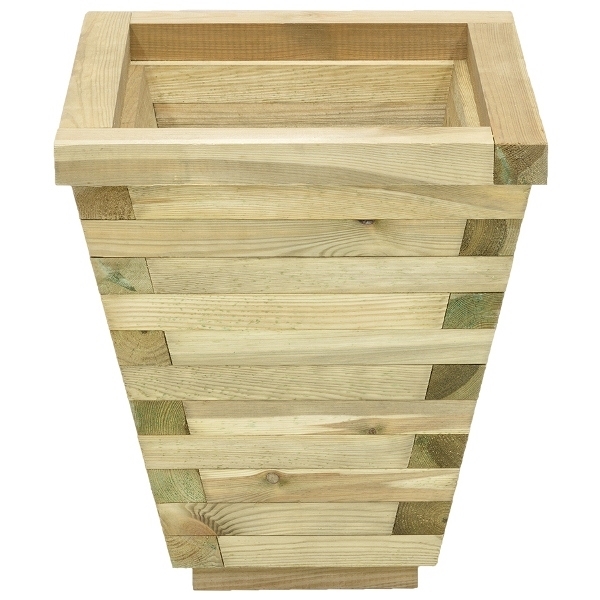 This fabulous planter allows you to plant several levels of flowers, plants or herbs, providing opportunity for a varied display and a greater chance for creativity to add height and depth to your garden planting scheme. The Corner Planter has been manufactured from planed timber which has been pressure treated which will help prolong the life of it. Another stylish feature planter is the Herb Wheel Planter (£48.06). 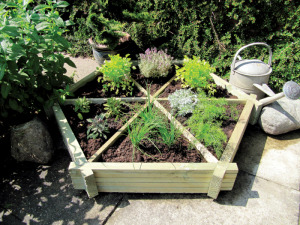 This delightful herb wheel is designed to join together with interlocking timber logs to form a hexagonal wheel with six sections in which to cultivate your herbs, or of course this can also be used for flowers and plants. As with all eDecks products, you know you will receive a planter made from a high quality timber. If something more modern is to your taste, then we recommend the Elite Tapered Planter (£49.39). 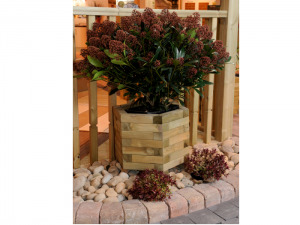 This planter is made from high quality, smooth planed timber that has been pressure treated for a longer life, and crafted into an eye-catching shape that look great by your front door, on the patio or your decking area. The planter is delivered to you fully assembled, complete with a liner so all you need to do is choose what you are going to plant. 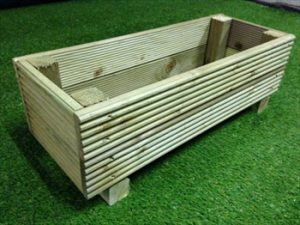 If you are wanting to update your garden on a budget, we also offer a Small (£10.39) and Large (£17.46) Treated Garden Planter. These are made on a budget using our discount decking timber but are still pressure treated to help protect the wood from rot and decay. They will still be able to add charm to your garden once filled with beautiful Spring and Summer flowers. Last, but certainly not least, we have the stunning Raised Corner Planter (£119.59), which is certainly going to add a feature piece to your very own oasis. At three feet high, the three individual compartments of this planter are easy to tend and can be very productive. Whether you are growing vegetables or decorative plants, sowing and weeding herbs, flowers and salad leaves, it is super simple with this planter. 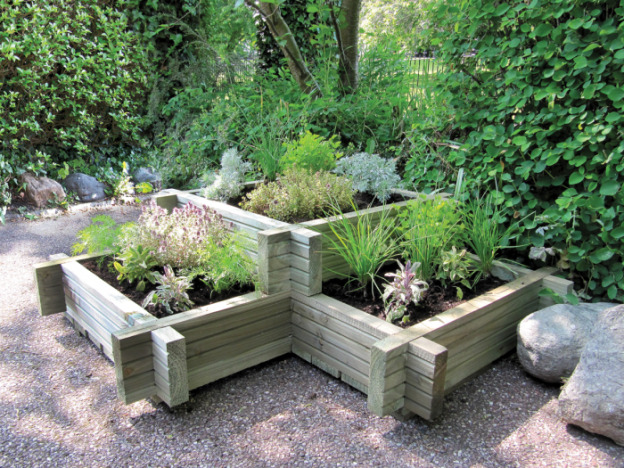 The Raised Corner Planter has been made using pressure treated timber to ensure it is long lasting and resistant to decay and perfectly complements the ergonomic design. This entry was posted in Decking Accessories, garden accessories, Garden Design Ideas, Garden DIY, gardening, gardens and tagged accessories, flower planter, gardens, planter corner, planters, timber on March 13, 2018 by eDecks. 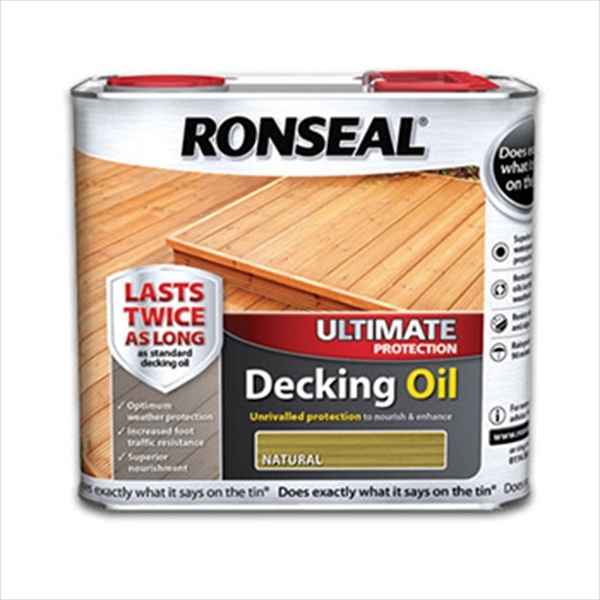 If you decide that a decking paint isn’t something you are wanting to finish off your deck look with, then it may be worth considering either a semi-transparent timber stain or a clear sealer to protect your decking. 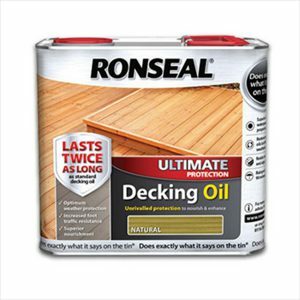 Today we shall talk you through what a timber stain can do for your deck so you can decide whether it is something you would like to use on your project. 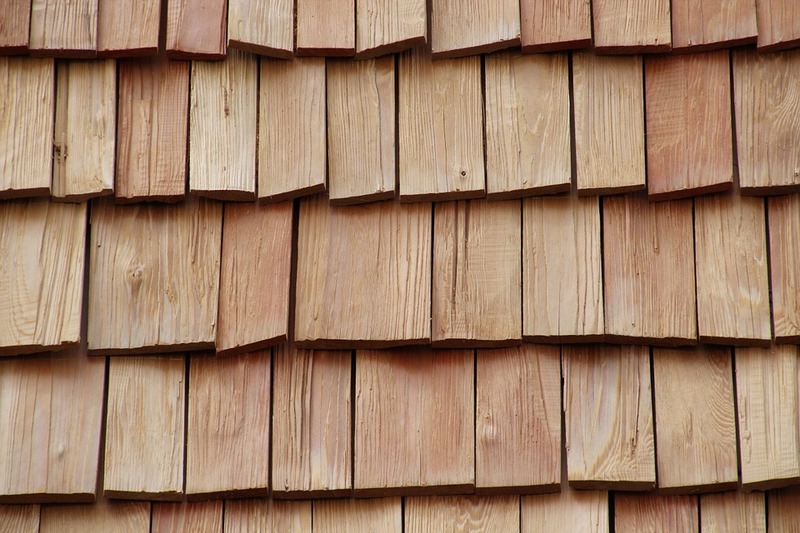 Timber stain retains the natural beauty of the wood, as it lets the wood grain show through. Generally speaking, a stain is less slippery than a paint as it gives a flat surface that protects the timber without creating a really slippery surface. When using a timber stain, you will find it much easier to use than a paint, and it is often more forgiving if you miss a spot here and there without it being obvious. 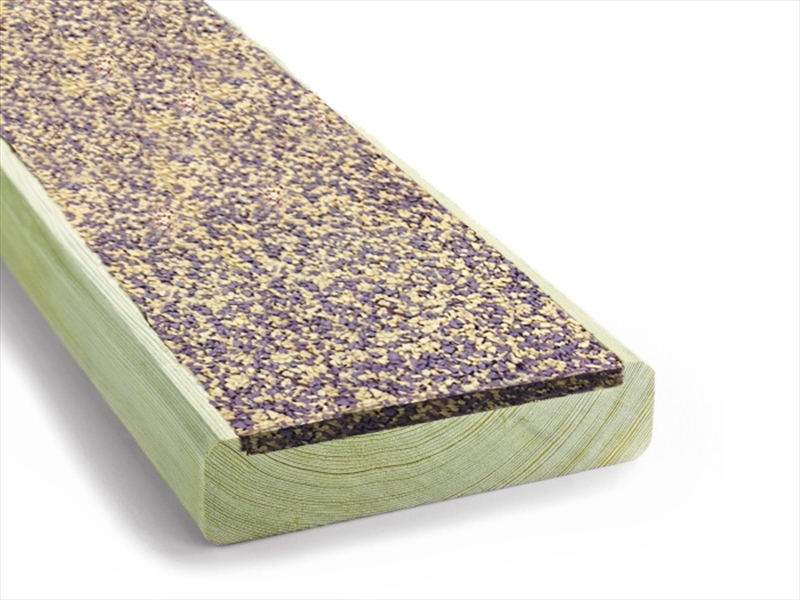 As with decking paint, stains are also available in a wide range of colours, but we do recommend you testing a small area of your wood first, as the colour of the wood can have a different effect with a stain. Stain does tend to have a shorter life span than paint, depending on the quality and amount of coats of the stain, but this is great if you soon get bored of the same colour. You will also find that a stain is more rustic looking, and for the most part, timber stain results in a more natural looking finish. So you can see the grain through the stain, but if you are wanting to conceal it, then a darker colour stain or a paint would be your best option. 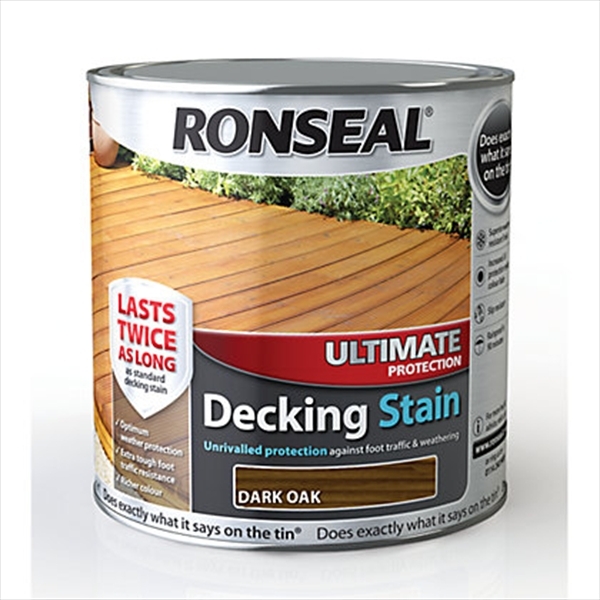 Both paint and stain can give you a decking area that lasts years longer than it would if you left it untreated and these materials make the wood less water absorbent, resulting in the wood to stay dry on the inside. They also include compounds which are designed to protect the wood from harmful UV rays, which means much less sun damage to your timber. 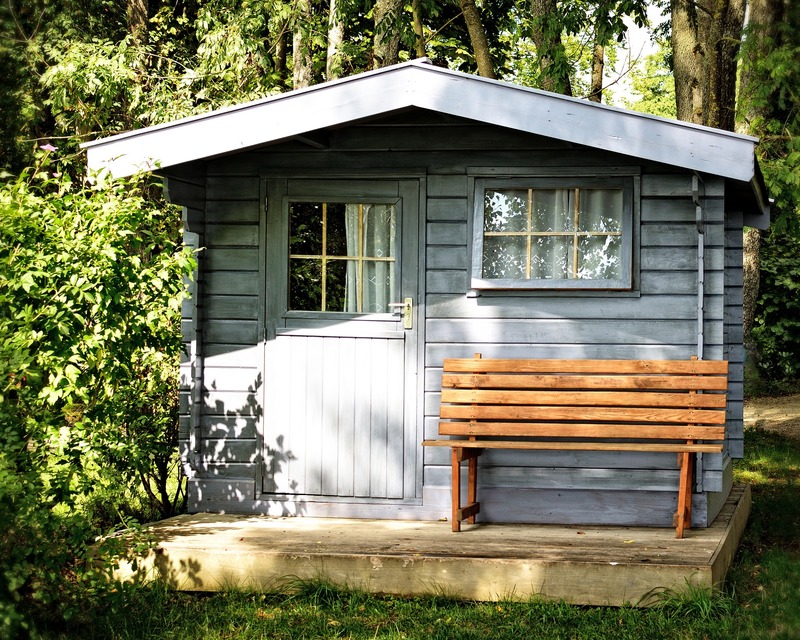 If you are considering leaving your wood untreated, it is worth bearing in mind that eventually the elements will wreak havoc on even the toughest of woods. 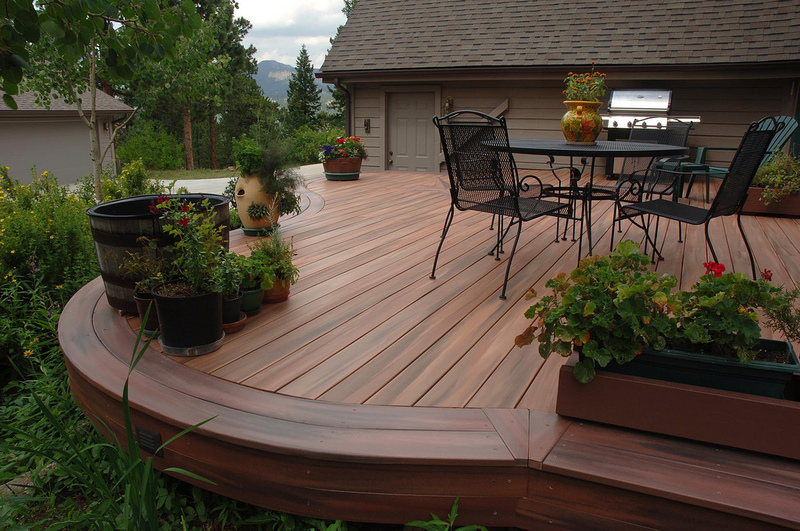 With the exception of some extremely hard tropical hardwoods, you should almost always apply some sort of finish to your decking if you want it to last outside. 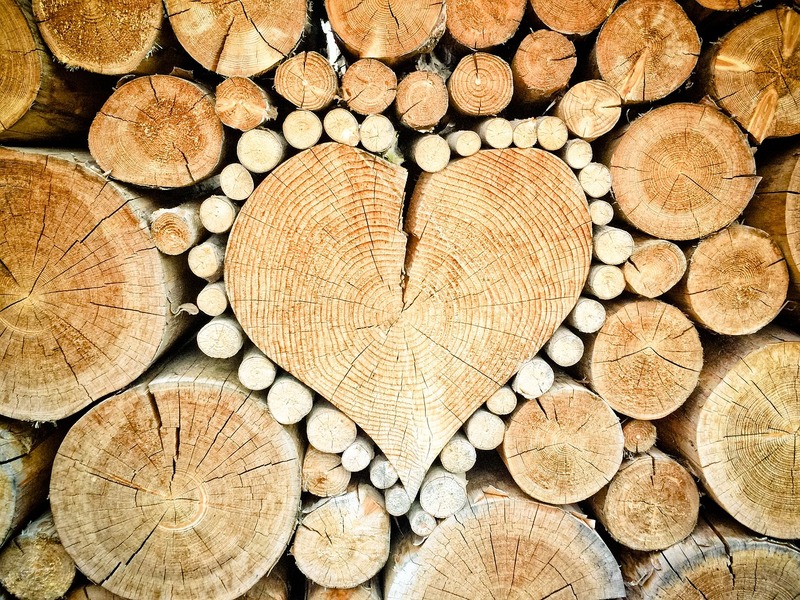 Skipping a timber stain or paint can lead to the wood cracking, splitting, warping and even rotting before it should do, requiring lots of time and money to make repairs or replacements. When brushing the gaps between boards with a timber stain, be careful not to get much on the top surface, because each coat of stain will darken the stain colour. Use a stain with less pigment to let more of the natural wood grain show through. Always test the stain before applying. If you have a mix of old and new decking boards, use a stain with more pigment to make them look uniform. In conclusion, a little bit of effort to maintain your decking can be well worth it as wood is a natural, renewable resource and some of the faster growing species are very environmentally friendly compared to synthetic materials. 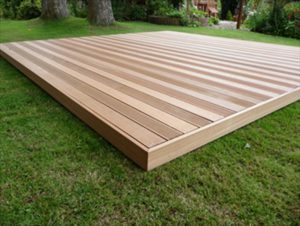 Using a timber stain allows your decking to not only look beautifully finished, but which will last for many years to come. This entry was posted in timber and tagged decking, decking stain, paint, stain, timber, timber stain on March 6, 2018 by eDecks. 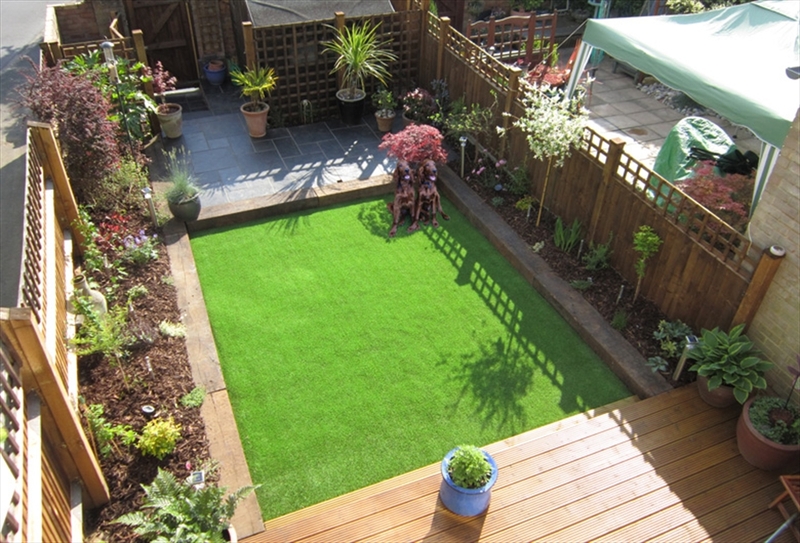 Creating your perfect garden landscape can be hard work, but there are products out there that work all by themselves to make your life so much easier! Weed membrane fabrics are making a huge difference to modern gardens by stabilising the ground, improving drainage and filtration, separating aggregates and spreading imposed loads. Ensuring you choose the right weed membrane fabric for your project means understanding the differences between them – a key one being whether they are woven or non-woven. 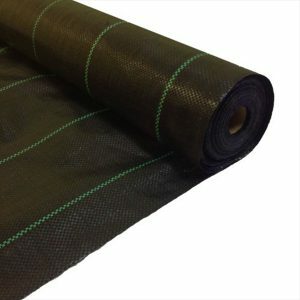 Woven Weed Membrane fabric is made by weaving polypropylene tapes together. Using this crisscross pattern makes the fabric super-strong but limits its drainage capabilities compared with the non-woven variety. The strength and hard-wearing qualities of woven weed membrane give it a high tensile strength, making it suitable for use under patios, paths, parking areas and for other applications where a high strength but economical membrane is essential. Although Non-Woven Weed Membrane has a lower tensile strength than the woven type, it still offers great strength, durability and excellent drainage properties. Non-woven weed membrane is a felt-like fabric made by thermally bonding polypropylene or a mixture of polypropylene and polyester fibres and then finishing using needle punching, calendaring and other methods. This type of fabric is easier to cut, has a high water permeability rate and does not lose strength over time, in the same way as the woven fabric does, when used below ground. 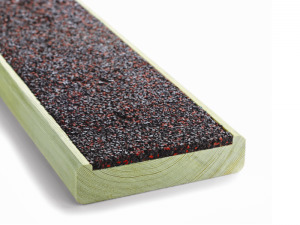 This makes it ideal for use beneath driveways and roads and in land and storm water drainage systems, where long-term ground stabilisation and filtration is required. Woven or non-woven weed membrane can be a gardener’s best friend and whether you are looking for ground stabilisation, separation of sub-base layers, aggregates and other materials, or drainage and filtration, there is now a fabric that is right for the job. 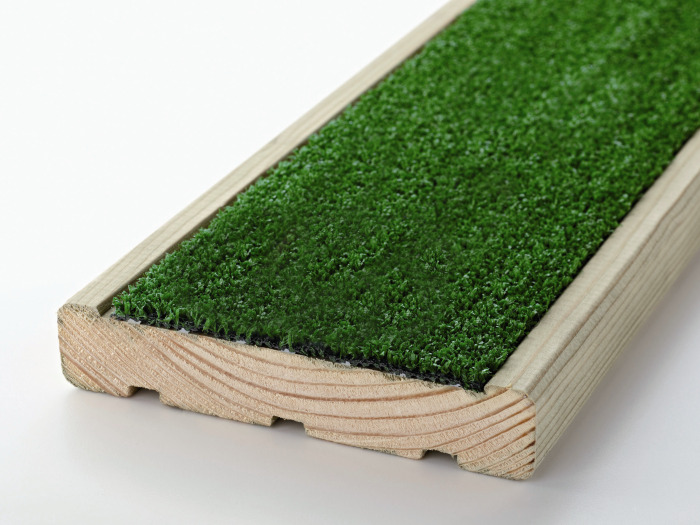 eDecks offers three different types of Woven Weed Membrane, including a Standard strength, Heavy Duty and Super Heavy Duty. Whether it is under your deck, paving, driveway or planting area, weed membrane will prevent nasty weeds coming through. As well as reducing garden maintenance, weed membrane allows water and nutrients to penetrate the soil. This entry was posted in Decking Advice, diy, Garden DIY, gardening, Gardening Advice, gardens and tagged diy, gardening, non woven membrane, weed membrane, woven membrane on March 1, 2018 by eDecks.